Jerry Isenhart reported on the progress made during a year of researching the life and legacy of Lawrency Denney Lindsley for our upcoming interactive book that focuses on his Lake Chelan Photo series from 1906 to 1950. Jerry said, "It has been a challenging adventure: Lawrence Lindsley, we discover, was not only an incredible photographer, but also a writer of some talent." The first step in preparing a comprehensive digital publication about L.D. Lindsley, the photographer who captured iconic images of Lake Chelan, was to gather together everything we could about him. 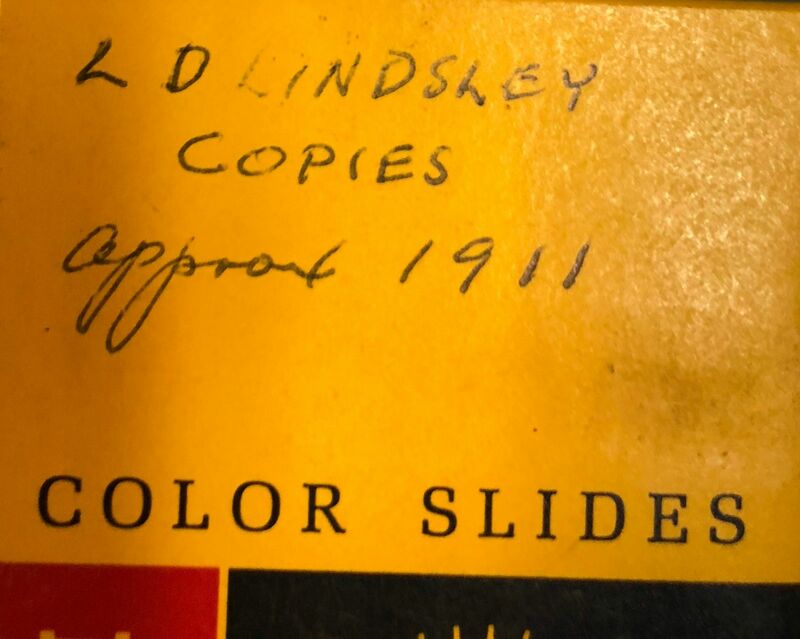 There are photographs to be sure, but we soon discovered that Lindsley was much more than a guy with a camera. It turns out he was also a philosopher who prefered to be in the solitary company of his beloved horse and dog. The mission to honor Lawrence Lindsley has been on my bucket list for years. My father, Don Isenhart, was the original recipient of more than 250 of Lindsley’s glass plate negatives called the “Lake Chelan Series.” Lindsley asked my father to safeguard the boxes of glass plates and related film negatives with the expressed hope that they be made available to future generations. Lawrence Denny Lindsley was a well-known scenic photographer whose "...thousands of scenic images ... helped bring mountains into the parlors of the general public, reflecting the interests of environmentalists of his time - men like John Muir." In the photograph above, L.D. 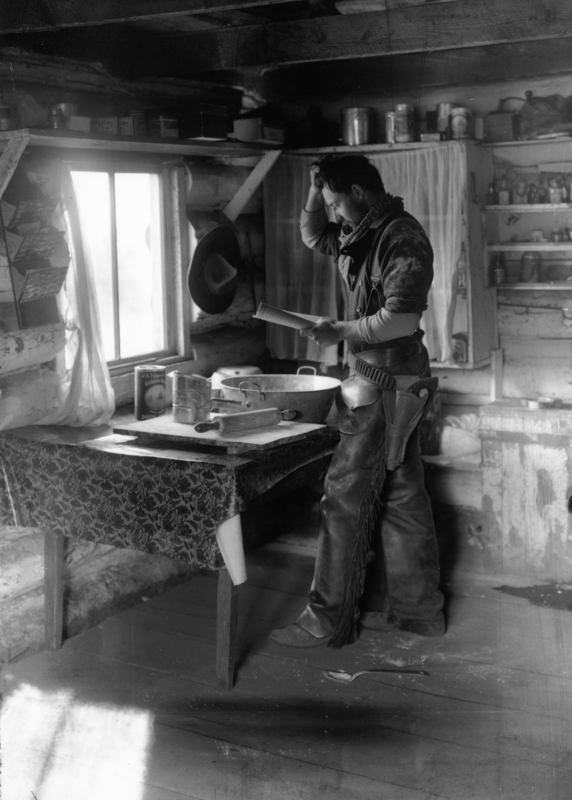 Lindsley ponders on how to make bread in a mountain cabin. Note the spoon on the floort. Lawrence Lindsley moved to the Lake Chelan Valley in 1912 where he lived with his parents at their home near 25 Mile Creek for several years, setting up his own photograph processing laboratory. It was in that period he traveled to the Stehekin Valley frequently for weeks at a time and captured some of his classic "Lake Chelan Series" photos. Lawrence was also hired as a guide by promoters of the region when they brought prospective newcomers to the Fields Hotel at Stehekin and traveled the trails of the Stehekin Valley to capture the awesome beauty. Although he left Lake Chelan in 1916 to work as a photographer in Western Washington, he returned often as is evidenced by his photos of the Wenatchee, Lake Chelan, and Grand Coulee areas taken in the late 1950s. Jerry Isenhart and Malcolm Keithley inspect a glass negative housed in the vault of the Lake Chelan Museum and Historical Society in Chelabn. The museum has made available its collection for the project. A closer look at an original L.D. Lindsley photographic glass negative. Lake Chelan Museum & Historical Society Collection. An audio interview with Lawerence Lindsley, whose tar paper covered photographic studio is seen in the photo to the right. The Lindsley Lake Chelan publication will be an interactive electronic book, much like Lake Chelan Magazine. It will be viewable on all devices, including phones. The book focuses on photos and stories that have a connection to Lake Chelan. A Spring, 2019 release date is planned. Stay tuned!